BBC World Service Director Francesca Unsworth has moved to reassure UK licence fee payers that plans to expand the World Service's reach around the world will not come at the expense of BBC services in the UK. On Monday, the BBC announced its intention to launch new services for Russia, Eritrea, Ethiopia and North Korea and expand coverage of BBC services in the Middle East, Nigeria and India as part of the BBC's next Charter, which is due to start in 2017. Campaigners protesting against BBC cuts have seized upon the World Service's expansion plans highlighting planned cuts to BBC UK services, including the removal of BBC Three from TV and further service closures, which were said to be "inevitable" by the BBC's Director General Tony Hall on Monday. "Let’s be clear – there are limits to how much British households can and should be expected to fund international news services. "So let me reassure licence fee payers that none of these proposed new services will place any extra demand on the licence fee. It’s completely wrong to suggest that new plans for North Korea, Russia, or anywhere else would impact on any licence-fee funded channels or services in the UK. " Instead, the BBC is seeking funding from the Government, which funded World Service activities until April 2014. It wants to match any Government funding with additional funds gained by increased monetisation of BBC Global News services around the world, such as increased advertising and sponsorship on the BBC's international TV and radio services as well as the global version of the BBC website. The proposed North Korean service would launch on Short Wave, with services for Eritrea and Ethiopia on Medium Wave. The BBC's presence in India and Nigeria would be enhanced on digital and mobile platforms. 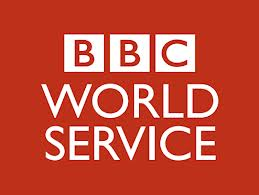 Some observers fear that without additional Government funding, the World Service will be left to decline during the next decade, despite the increasing dominance of Russian and Chinese international broadcasters across Asia and Africa, where the BBC is increasingly associated with older generations of listeners, hence the drive to move to digital and mobile platforms in places such as India and Nigeria.